A convertible tablet is a sort of notebooks, that you can turn or twist into a tablet pc. You either can use it as an ordinary notebook or as a tablet. There are many ways to do this mechanically. 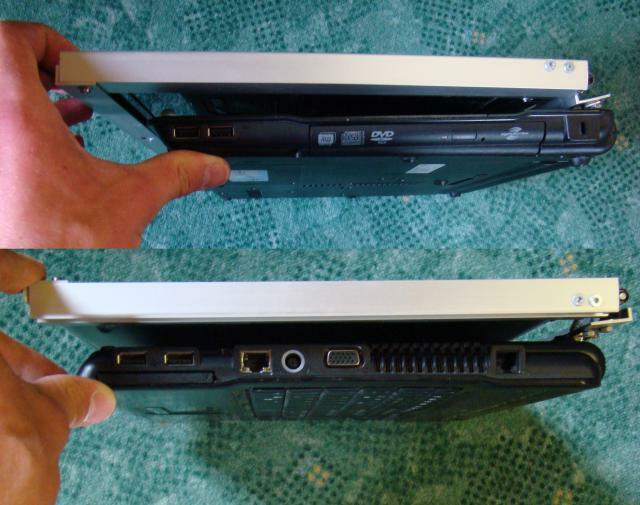 The Lenovo Thinkpad X230t, for example, allows you to turn the display by 180° and shut it down to use it as a tablet. The display of the Lenovo Ideapad Yoga can be turned by 360° to the other side. And Dell uses a system, where two separate hinges inside the frame of the display can be twisted, like the former black boards in school. Another type of convertible tablets is a slider notebook, that was is build by MSI, ASUS, Toshiba and Sony. Possible would be, to have a notebook with to LCD-screens on each side of the display. I was interested in building a tablet out of an discarded notebook. There are some Instructables in the web, where makers build their own tablet, but the results are often poor and weak and rarely comparable to consumer tablets. 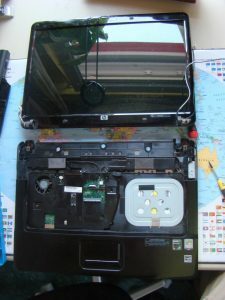 So when an acquaintance of me gave me a HP 6735s for my own purpose, I decided to turn it into the first self made and published convertible tablet in the world wide web. I used the mechanical principle of the Lenovo Yoga. Ordinary notebook displays do not allow to be turned by 360°. Often they stop at about 130°. Some older ones allow 180°. But we need the double of that. How to do it? 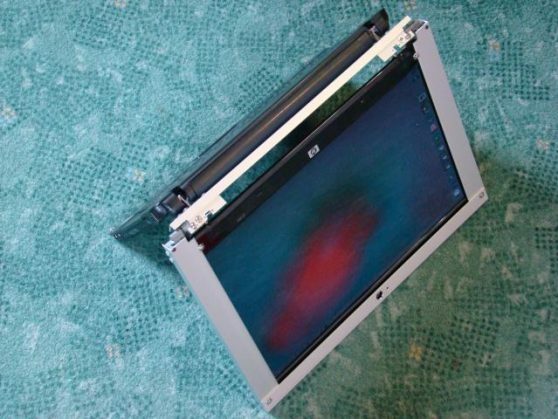 The solution begins inside the hinges: The Lenovo Yoga uses double hinges (I call them so). They are special for this notebook, and we need those double-hinges for our convertible tablet, too. The first step is to take the notebook that should become a convertible tablet apart. 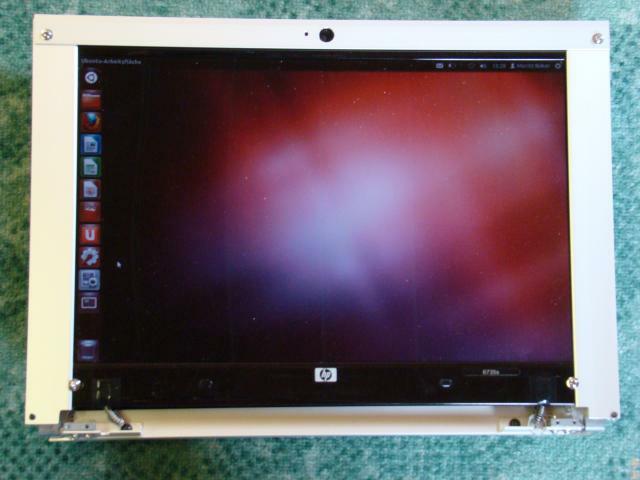 You only have to divide the display from the base of the notebook and disassemble the display. 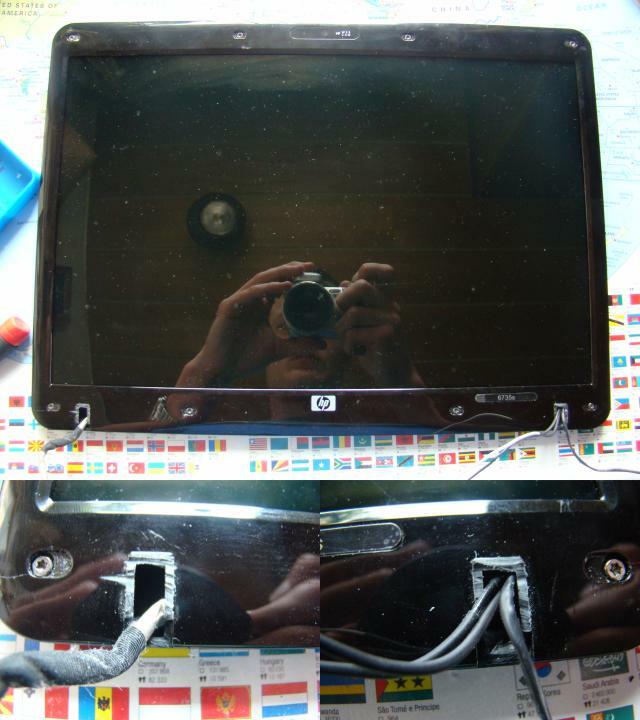 Be careful with the display, it’s fragile LCD-panel and sensitive LCD-cable. Now we want to make the double hinge. 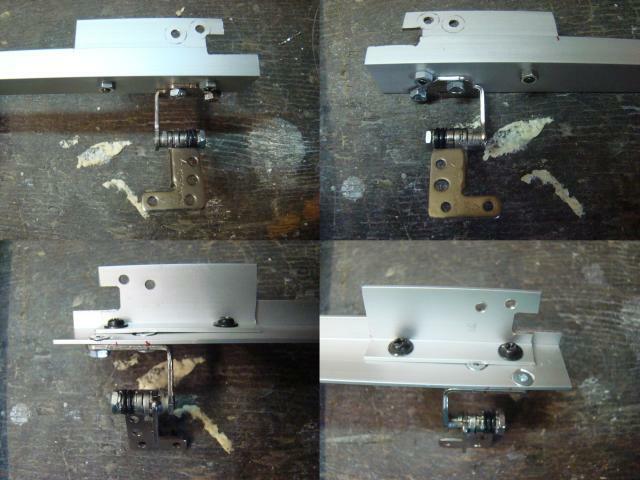 The double hinges consist out of the build-in notebook hinges and two separately added hinges. In the following text, I will call the ‘build-in notebook hinges’ just notebook hinges and the ‘two separately added hinges’ just other hinges, OK? You need a couple of pairs of hinges from old notebooks (other hinges), like you can see on the picture. 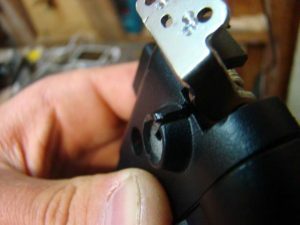 Then think logically and try to find out the best fitting pair of hinges. Hold the possible other hinge and the notebook hinge together and look after good places, where you can screw them together. My notebook hinges where made out of an extremely hard metal that could not be drilled even with titan drill bits. If this is your case, then follow the next step. If you can drill holes into the metal of the build-in hinges, try to screw the notebook hinges together with the two other hinges. But take the ideas given in the next steps serious for your tablet. Because of the very hard metal we can’t screw both hinges directly together. Another solution has to be found. I took an aluminum rod shaped like a ‘L’ and screw it to the notebook hinges. This has the advantage that they can not be tilted into different angles, but correspond to each other. Use machines screws for this solid-to-be joints. We first go on with the holding of the display before we finish the double-hinges. How to attach the display to the other hinges, so that it can be screwed together with the notebook hinges? In the local hardware store I found some crazy shaped aluminum rods that are probably used for other things but were very helpful in this project (see photo). They are ideal because we can slip the display inside this channel an have it secured on two sides of the display and even have room to screw the other hinges. Therefore I sawed two identical aluminum rods in the size of the height of the notebook display. 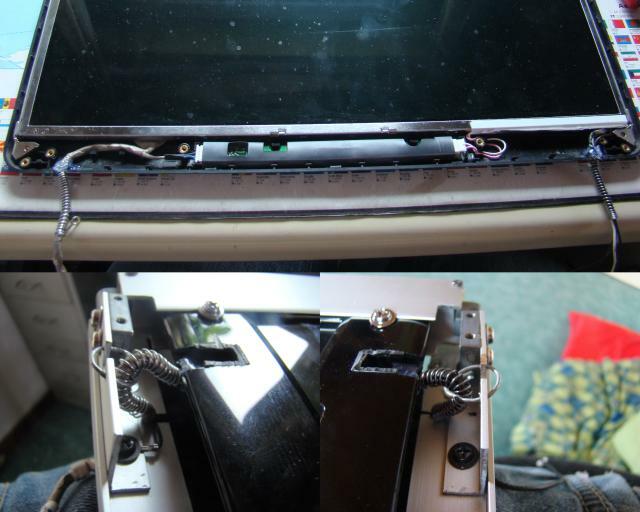 Then I screwed the other hinges to the rods with three screws each. In this step you screw the other hinges to the notebook hinges. You mark some dots, where the holes for the screws should be and drill them and fix everything. Now you can test whether the display fits between the two aluminum rods or not. If yes, go on and cut a piece of the ‘C’-shaped aluminum rod in the length of the width of the display. Drill the holes for the camera, microphone and, of course for the screws. 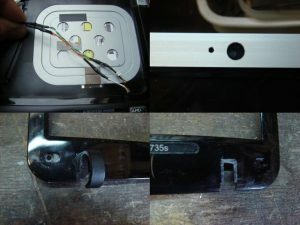 To prevent the display from slipping down, I fixed it with two screws in the lower part of the display-frame, that actually existed before (see photo). One of the most difficult problems is the trouble with the wires: For our purpose they are two short and will be bent very much during the turning of the display. 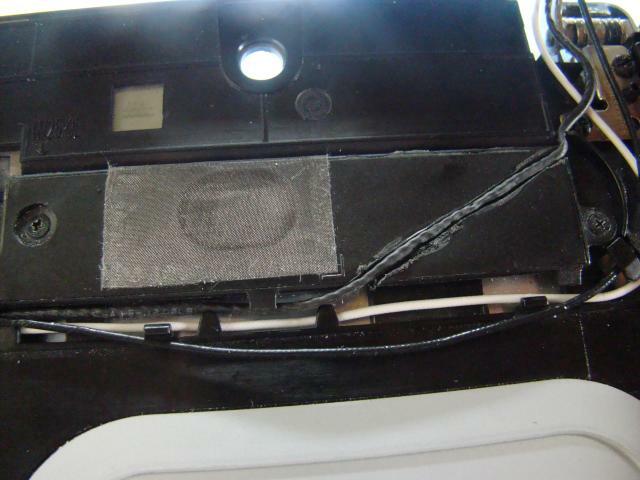 We have four wires: One LCD-cable, one for the web cam and two for the wireless LAN. If the LCD-cable is to short you have to find shorter paths inside the notebook to save length. I, for example, cut a path inside the speaker to guide it diagonal instead of around which saved me some centimeters. If nothing helps, you have a bad hand, because it’s almost impossible to extend the LCD-cable with it’s many micro-wires inside. I needed to lengthen the wireless LAN cables. 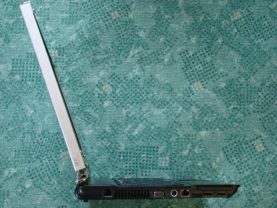 When we are twisting the convertible tablet from the notebook-mode into the tablet-mode, the wires are bend more than in the opening- and shutting-down-process of an ordinary notebook. My LCD-cable is already slightly damaged, for which reason the screen sometimes shows crazy motives during the twisting-process. I winded some springs around the cables to relieve them from too much pressure. But I’m unsure if they really extend the life of them. So you have to find a smarter way to manage the cables and prevent them from too much bending. Otherwise it is only a matter of time until they will brake. Before you can turn the display the 360° you need to cut down the plastic-covers of the notebook hinges that you find at the lower part of the display frame (see photo). 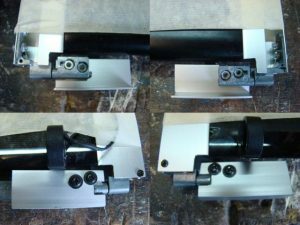 I also removed the stops in the notebook-hinges (small metal ‘bumps’ that can be filed down) and cut a gap into the notebook-base, so that the notebook hinges could be opened to a higher angle. 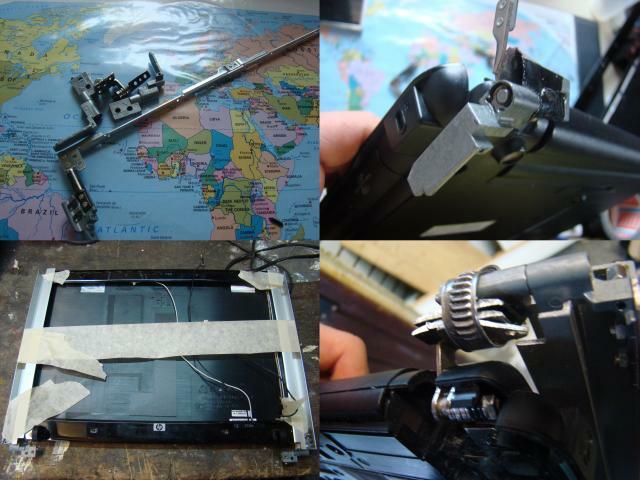 Before you put your convertible tablet back together, test it’s functionality: Are the double-hinges secured, tight and working correctly? Does the display allow to be turned 360° to the other side? Is the screen working correctly during and after the turning-process? Do the wires bend not too much during and after the turning-process? If you can answer the questions with yes, put everything back together. My convertible tablet has not any touchscreen yet and therefore it is not a real tablet. But maybe I will add this in future and post it Instructable. My idea is to buy one of these touchscreen-kits, that consists out of the touch-panel and the USB-controller. 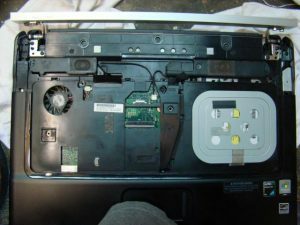 Than I would mount the touch-panel over the LCD-panel of the convertible tablet and hide the USB-controller near the inverter of the display. 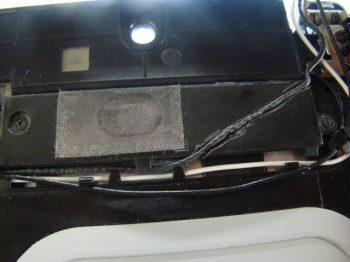 The web cam of the notebook is, like many other notebook cameras a USB-webcam. 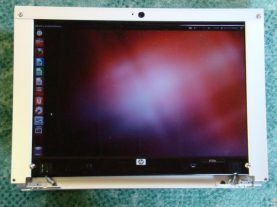 I would solder the USB-cable of the touch-panel’s USB-controller to the wires of the webcam, without having a thick USB-wire hanging in the outside of the convertible tablet. Although my convertible tablet is not the sexiest looking electronic device in the world, I think it shows what we makers can all do on our own. I’m open for critics, commendation and improvements.